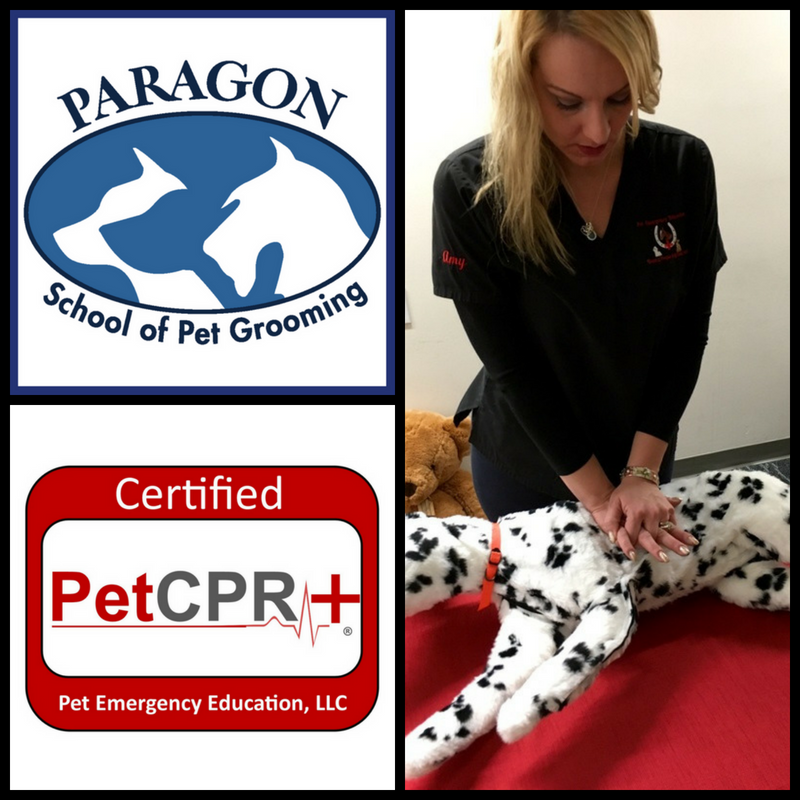 Pet Emergency Education is proud to partner with the Paragon School of Pet Grooming, offering our internationally recognized Pet CPR and First Aid program. Paragon students may take the certification course at a discounted rate of $55.95, (reg. $69.95) and receive $5.00 off a printed copy of the class reference guide should they choose to purchase one. *Important* A link to access the course will be sent to you via email once you pay for your registration. You will be taken to Blackboard Learn our learning management site where the class is hosted. Once you click on the link you will sign up for an account, login and begin your course . This course is asynchronous which means you may log in and out as much as you like and there are no “live” components. Course takes approximately 3 hours to complete. Course must be completed within 30 days of the registration date. Upon completion of the course you will be able to access and print your cards and certificates immediately at the link that will open in the course listed under the final exam, once you achieve the passing grade of 85% or higher. Our program is based on the most current method of animal CPR called the RECOVER Initiative which was developed by emergency veterinarians. 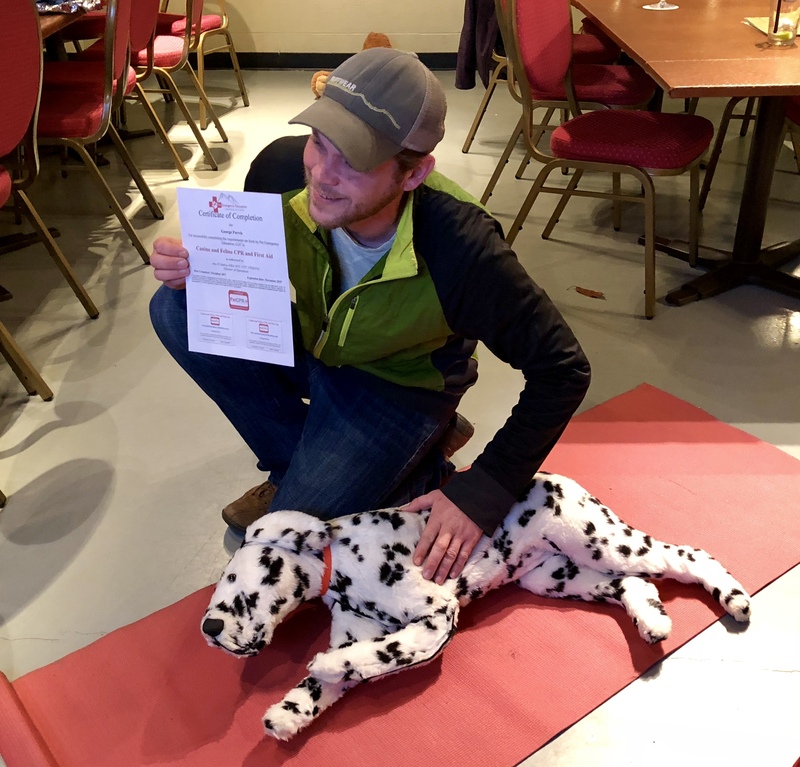 This class is designed to teach the participant how to administer emergency CPR and first aid to an animal until veterinary care is ascertained. This course covers many aspects of handling emergency situations involving dogs and cats including how to perform cardiopulmonary resuscitation. 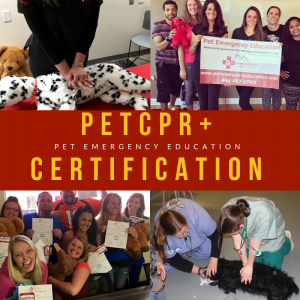 Participants will learn how to safely restrain and transport dogs and cats that have been injured, manage common medical emergencies and perform CPR. 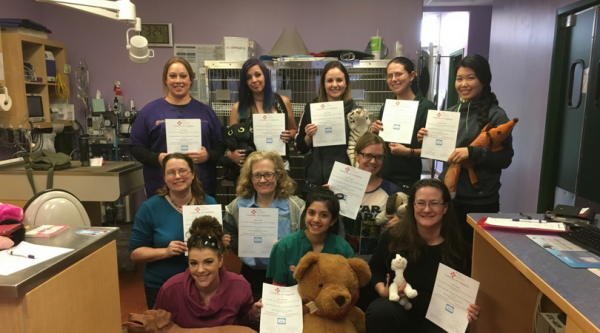 This training is highly necessary for veterinary and animal professionals as well as pet owners who want to be prepared in the event of life threatening situation with animals in their care. Have an understanding how to recognize cardiopulmonary arrest and how to perform CPR. A copy of our 88+ page full color Canine and Feline CPR and First Aid Reference Guide E-book (printed books may be purchased). E-Books can be accessed once you sign into the course. Printed books will be mailed at time of registration and may not be received for 5-7 days. Upon successful completion and receiving a passing score on all assessments, participants will receive 2 CPR certification wallet cards and an official certificate emailed to them after completion of the course. 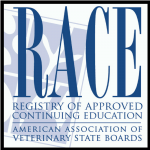 Copyright access to use the PetCPR+ logo to promote you are certified. This online training consists of video presentations, tutorials (asynchronous that can be viewed at the participants own pace. Participants may log in and out as much as they like but must complete the training within 30 days). Videos and tutorials are presented by Pet Emergency Education staff and our veterinary affiliates. Video presentations are tracked and progress is monitored throughout this training. There are 3 learning modules in the training and a quiz at the end of each module. You will also be required to review your manual throughout all modules in order to successfully learn all of the material that will be covered in the assessments. A cumulative final exam must be taken at the end of the course and covers all material presented throughout the entire course. Quizzes and and tests are timed and you have 60 minutes to complete each one. If the timer reaches 60 minutes and you have not completed the assessment, your text will close and any unanswered questions will be logged in a zeros. All participants in this course will start with a grade of zero. Each item in the course is worth a certain amount of points. As you complete the material you will earn points towards your final score. In order to pass the course you must earn a total of 85 points. Cards and certificates are available to print immediately after the course is complete. 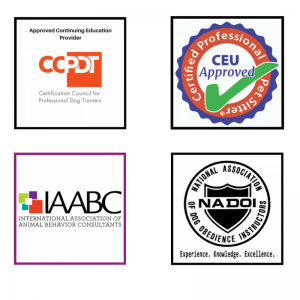 Approved to award 3.5 CEU to CCPDT Dog Trainers, 3 CEU to members of Pet Sitters International, 3.5 CEU to members of IAABC and 3 CEU to members of NADOI.